"I've tasted these coffee cakes and they're every bit as good as they look - sweet and scrumptious. Too good - one slice leads to another!" This has been our customer rating since 1995! The five-star Top Service icon next to a CoffeeCakes.com's name is a sign of superlative quality. It means that we are participating in a Merchant Rating System, and customers who have ordered from our store have given us the highest rating awarded - five-star Top Service! Hear what our customers are saying about us. We are sure you�ll love our products and customer service, too! "You have the very best coffee cakes"
"I was looking for a gift to send my sister for Easter and tried www.CoffeeCakes.com. The feedback has been terrific "even better than Mom's homemade cakes" I have ordered several more for birthday gifts and Mother's Day." �The design of my travel mug is the best I have seen. Great cake!!! Bought it for a birthday and it was an instant hit. Betty Crocker should do so well... It was a great tasting delight and a lot of fun as well. "I ordered a coffee cake for my Mom's birthday and what a treat! It was so delicious that we had seconds and thirds! It is the best cake ever and just melts dreamily in your mouth! I can't wait until my birthday and Christmas (definitely big order there) to get more cakes." "Excellent product with great delivery. I will continue to shop here. Yummy coffee cake." "One of the best coffee cakes I have eaten in a long while. I will be ordering again." "Wow!!! You folks are swift!!!!! My sister received the Cayman Rum Cake we ordered from you, and loved it!!! I also appreciated the confirmation of my order, and the lady who took my order on your 800 number was a joy to deal with and most helpful to me. Put that info in her personnel file please." "The recipients loved the coffee cakes. They arrived quick and were eaten even faster." "My recipient is always thrilled, even though I always send the same thing over and over!" "THE STROOPWAFELS ARE FANTASTIC! I'M VERY HAPPY I FOUND SOMEONE IN THE U.S. WHO MAKES THESE COOKIES." "Satisfaction GUARANTEED. Prompt and courteous service. GREAT STROOPWAFELS!!! I will (and have already) tell everyone to order." "Order was processed quickly and arrived fresh. Everyone whom we sent a cake to thoroughly enjoyed it. Thanks!" "This is the best mug that I have ever had, and I have had many. My coffee stays hot for hours and hours." "I looked all over for the right ceramic travel coffee mug. CoffeCakes.com was the only one who had what I needed. I got the coffee mug three days after I ordered it and it was in perfect condition. It made the perfect Fathers Day gift. Thank you for having a quality product when I needed it." "I purchased a travel coffee mug that I have been looking for to replace one I loved for years. It came timely and I love it! I would shop here again!" "I bought a travel mug for my son over the Internet. It was rated by the WTJ as the top mug and was promoted so by the company. I was pleasantly surprised to have the mug in my house 2 days later. It is a wonderful mug, exactly as advertised." "PERFECT PRODUCTS-OFFERED WITH PERSONALIZED PROFESSIONALISM!" �Dear CoffeeCakes.com, Thanks so much for the wonderful coffee cake...everyone exclaimed how moist and wonderful it tasted. I most definitely will be ordering again next holiday season and I will be ordering more than one cake. "Just a note of thanks. The cinnamon walnut coffee cake was a hit...and you've won over a new customer. "I found CoffeeCakes easy to use and true to their word - the coffee cakes taste great." ...Your customer service is just wonderful; your people all pitched in to make sure that I could get this order out on time....even though I was running late in ordering!! My father (and mother) really, really enjoyed this cheesecake and said it was one of the best tasting they had ever had. Thank you, thank you!!! I will definitely use your services again!!" CoffeeCakes.com provides excellent service and the MOST DELICIOUS products. They deserve a grade of A+++. Fantastic! �Thanks. You guys are great! I received my cake in just over 12 hours!! "Unexpectedly fast service - very pleased." "What a wonderful product! We enjoyed our first cake so much that we immediately order two more. Our second ordering experience was equally as good as the first. I would highly recommend this product and company to everyone. Excellent job and a real winner!!!" "This is a wonderful company to work with. Everything from ordering to receiving was easy and fast. I would do business again with them!" "Customer service was excellent. Took the time to answer specific questions for my needs. Worked with me to achieve the best purchase possible. Cakes arrived safely and on-time. One of the best on-line purchasing experiences ever had." "I've shopped CoffeeCakes.com before, and been very pleased, so I expected good things again. This time, I ordered a travel mug, which I was pleasantly surprised to find was $5 cheaper than the one I was replacing (same model). I added a coffee cake to my order, too (Hey, the sites name says it all...) I selected the ground delivery option (1-7 business days) and I had my order within 2. The coffee cake was as fresh as if I had just baked it, and was carefully packed so it was not crumbled or damaged in any way. Of course, I will order from them again. Another great shopping experience at CoffeeCakes for me---I recommend them to everyone!" "I did a lot of comparison shopping and found CoffeeCakes had the best prices. My order arrived complete and fast. I would recommend CoffeeCakes to anyone and I will shop there again." 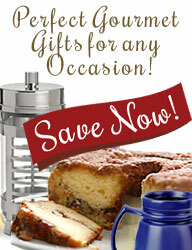 "I can't think of a better way to ship a coffee cake across the nation, have it arrive fresh and in a timely manner. Out of 4 orders I have been pleased 4 times." "CoffeeCakes.com sets the bar for great service. I received my order in about 36 hours from the time it was placed." "Not only was the service above board but, the personnel were terrific, extremely helpful and eager to give me the best advice for shipping...I was totally pleased with my experience with them and would highly recommend this site." "What a wonderful website... The products were delivered shortly after I ordered them, even though this was the busy time of the year." "I procrastinated in my purchase and needed it overnighted. I called in the order in the late afternoon and there would normally not have been anything that could have possibly been done to accommodate my request. CoffeeCakes.com came to the rescue with superlative service, above and beyond the call of duty to help me out in a bind with the kindest and most understanding and proactive staff that I have come across in a VERY long time. I have only kudos for them and their staff. Thanks for going the extra mile for someone who needed your help in the worst way, in a hurry." "I ordered, got e-mail confirmation and my order was here in three days as promised. Couldn't ask for more." "This is the BEST site on the whole web. Not only excellent service but also the most delicious coffee cakes one can buy! "Excellent product and very fresh. Service was impeccable. Thanks!"